Home » Medicines » Drug Abuse » How long does Ativan stay in your system – urine, blood, saliva, hair? What is Ativan? 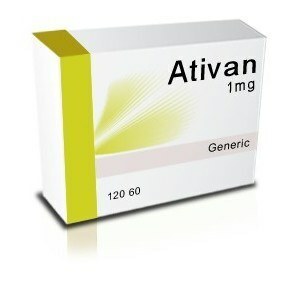 What is Ativan used for? 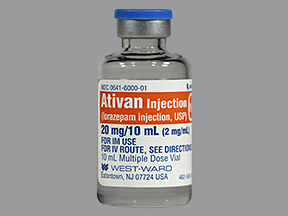 Ativan is the Brand name for the drug containing Lorazepam as an active ingredient. It belongs to the benzodiazepine class of drugs. It is mainly used to treat anxiety disorders as it helps in restoring the chemical balance between CNS stimulant (e.g. glutamate) and CNS depressant molecules (e.g. GABA) within the brain. It is also an anti-seizure and sedative drug. How Ativan works in the body? The active ingredient of ativan, lorazepam is a γ-aminobutyric acid (GABA) receptor complex agonist. The receptor has 5 subunits since its function is very complex. These receptors are widespread in the brain and play a CNS depressing role i.e. they inhibit the activity of our brain so that it does not go into an overdrive. All the above stated actions help achieve one common function i.e. they bring down the resting membrane potential of the neurons towards a hyperpolarized state and away from the threshold value of depolarization. Another effect of the drug on the neurons is that it decreases the impulse (signal) conduction of neurons. So the overall effect of this drug on our body is that it decreases the excitability of our neurons so now a larger than before impulse will be needed to excite them. What are FDA approved indications for Ativan? The FDA has approved Lorazepam for anxiety disorders such as general anxiety disorder (GAD), post-traumatic stress disorder (PTSD), obsessive compulsive disorder (OCD), social phobias, phobias associated with particular things or situations such as flying, and panic disorder. FDA has also indicated its use for the treatment of status epileptics. Other off the label uses includes its use in pre-op surroundings to relieve anxiety. It may also be used as an antiemetic drug or as an tranquilizing agent in psychotics. Another use for lorazepam is that it may be given in patients suffering from irritable bowel syndrome. While administering a drug, a number of factors need to be taken into consideration especially the age of patient, presence of any other disease particularly liver or kidney disease, whether he or she is taking any other medication and the route of administration of drug. The usual recommended dose of IV Lorazepam injection is 4 mg given slowly (2 mg/min) for patients 18 years and older. If seizures continue, an additional 4mg of the drug may be given. Intramuscular or intravenous injections are the preferred routes of administration when administrating the drug as a Preanesthetic medicine. For the purpose of sedation and relief of anxiety, an initial dose of 2mg total or 0.02 mg/lb (0.044 mg/kg), whichever is smaller is given in the IV form 15 minutes before the start of procedure. When giving as a premedicant, the IM route is preferred. The recommended dose is 0.05 mg/kg up to a maximum of 4 mg and it is given 2 hours before the start of procedure. Usually patients require an initial dose of 2 to 3 mg/day in the oral form given two times a day or three times a day. A single daily dose of 2 to 4 mg in the oral form may be given, usually at bedtime. Elderly or debilitated patients are usually given an initial dosage of 1 to 2 mg/day in divided doses is recommended. When high doses are needed, the dosage of Lorazepam should be increased gradually to help avoid adverse effects. In such cases, the evening dose should be increased before the daytime doses. How long does it take for Ativan to work? The onset of action depends upon the route of administration. If 1mg of the drug is given orally, it usually takes 15-30minutes for the effect to start. When giving the same amount in parenteral form, the onset is rapid i.e. within 10minutes. The peak onset is reached 1.5 to 2h after the drug is taken. When a 2mg dose of Lorazepam is given, the peak serum concentration is usually reached approximately 2 hours after taking the drug and is between 17 ng/ml to 20 ng/ml. After 2 hours the serum levels start to decline. The drug is mainly eliminated by hepatic metabolism. The reaction it undergoes in the liver is glucoronidation i.e. the addition of glucoronic acid to Lorazepam. The compound formed is Lorazepam glucoronide and it is an inactive metabolite which gets excreted in urine. The drug has a half-life of 12 hours. 7-8% of the drug gets eliminated in the feces. Steady state concentration of Lorazepam can be achieved in two to three days when the user is taking the drug regularly and on time. It is not advisable to use a loading dose of the drug due to its severe CNS depressant effects. The age of the person, his renal function tests and hepatic function tests doesn’t affect the time taken to reach peak concentration or its half-life. How readily that particular component is cleansed. What this means is that a single dose of Lorazepam will take 2-3 days to be completely removed from the blood and more if there was an overdose. Similarly if the person has been taken Lorazepam for days or weeks, it will take 1-2 weeks for the serum concentration of the drug to fall to zero. Since urine is made by filtration of blood, urine concentration of the inactive form of the drug (Lorazepam glucoronide) will also be detectable in the urine for same amount of time. Other sources where the drug can be detected are saliva and hair. Drug testing for saliva is variable and hence unpredictable. In some cases detection is possible immediately after taking drug, in others it might require a couple of hours. If a single dose is taken, detection in saliva will not be possible after 48 hours. No cases of detection have reported beyond this time period. Detection in hair is possible only for users who have used the drug for at least 2-3 days consecutively. In such cases time period for detection lasts as much as 90 days. This fact is used in both therapeutics and forensics. The therapeutics part is discussed here, the forensics part is discussed under the next subheading. Diazepam has long been considered as the drug of choice in status epilepticus. However diazepam has a high lipid solubility so when it is given IV, it leaves the vascular compartment rather quickly and the serum concentration falls below the threshold necessary to produce an effect called the minimum effective concentration. To overcome this problem, there is no other solution but to administer another dose of diazepam. However since Lorazepam has a poor lipid solubility, it has a small volume of distribution i.e. it does not leave the vascular compartment rather quickly. So the concentration of Lorazepam remains above the minimum effective concentration for a longer period of time. So now Lorazepam is replacing diazepam as the drug of choice in status epilepticus. Does Ativan show on a drug test? Traditional drug tests like the SAMHSA-5 aims to detect only drugs like cocaine, marijuana, amphetamines, opioids, and PCP. As a result, you probably won’t be tested for Lorazepam (or other benzodiazepines). However, an extensive drug test could certainly detect the presence of benzodiazepines (including Lorazepam ). One of the tests which has been used successfully to detect the presence of specific drugs is Liquid chromatography–mass spectrometry (LC-MS). It is an analytical chemistry technique which has been used to detect drug levels in blood, saliva and hair for quite some time now. This technique is particularly useful in the field of forensics since benzodiazepines are used by sexual offenders who use this drug to adulterate drinks. The time period at which testing is done is vital. Since concentrations of Lorazepam deplete rapidly from oral fluids within 48hrs, urine samples are said to be most reliable since concentration of Lorazepam in urine even after a single dose remains above detectable value. Pre-existing depression may emerge or worsen during use of lorazepam. Lorazepam recommended for use in patients with psychosis or primary depressive disorder. There is a risk of fatal respiratory depression if Lorazepam is used with other CNS depressants. Use of Lorazepam, may lead to psychological and later physical dependence. All patients receiving lorazepam should be warned not to operate dangerous machinery or motor vehicles. All patients should be warned that their tolerance for alcohol and other CNS depressants will be diminished. Withdrawal symptoms can appear following abrupt termination even of recommended doses after as little as one week of therapy. Hence it should be avoided and a gradual dosage-tapering schedule followed after extended therapy. The drug should be avoided in pregnancy since it is categorized as class D drug by the FDA. Use of Lorazepam by breastfeeding mothers is not advisable. Either breastfeeding or administration of drug should be stopped. In cases where the drug must be given to mothers who insist on breastfeeding, neonates should be examined regularly for side effects of the drug such as sedation, inability to suckle since the drug passes in breast milk too. Patient experiencing acute narrow-angle glaucoma. Lorazepam produce exaggerated CNS-depressant effects when administered with other CNS depressants e.g. alcohol, antipsychotics, anxiolytics, antidepressants, antihistamines, anticonvulsants, anesthetics, barbiturates, sedative/hypnotics, narcotic analgesics. Simultaneous use of clozapine and lorazepam may produce severe sedation, excessive salivation, hypotension, ataxia, delirium, and respiratory arrest. Simultaneous administration of lorazepam with probenecid may result in a more rapid onset or prolonged effect of lorazepam due to increased half-life and decreased total clearance. In such cases, the drug dose is reduced to almost 50%. Administration of methylxanthines e.g theophylline or aminophylline may antagonize the sedative effects of lorazepam. Neurological effects like suicidal thoughts, hallucinations, depression etc. Signs of Infection like Sore throat, fever etc. These are still less harmful side effects. You should consult the doctor and get treated right away if have seizures or yellowing of eyes or skin. “What happens when you take too much ambien?